POWER: Experience hassle-free runtime with the 2X ION Power Pack System, which includes a second removable, rechargeable ION Power Pack lithium-ion battery, allowing you to vacuum while your second battery charges. DUO CLEAN: The vacuum cleaner features DuoClean Technology, a combination of a bristle brush and soft roller invented to clean fine dust, small and large particles on both carpets and floors. MULTI FLEX: MultiFLEX Technology folds over for compact, free-standing storage and provides flexible reach to get under beds, couches, and tables. SMART RESPONSE: Technology provides a range of performance-enhancing power settings, tailored for your cleaning needs on carpets and floors. 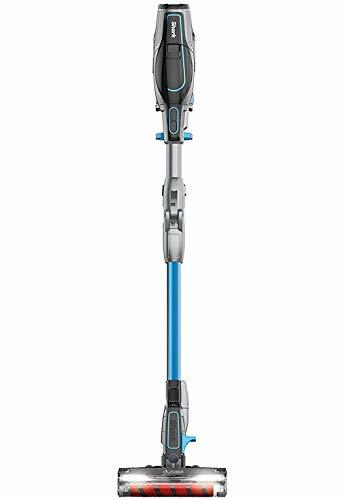 Easily converts to a cord-free hand vac for true floor-to-ceiling versatility on stairs, book shelves, cars, and hard-to-reach areas.